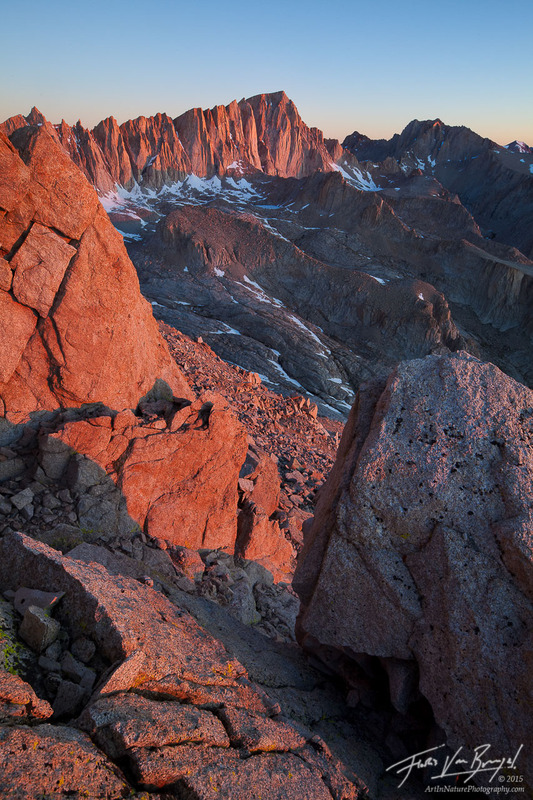 Early morning alpen glow lights up the distant Mount Whitney in California's high sierras. In order to get this picture I left camp at midnight to climb 2,000 feet to close to the summit of Mt. Irvine.